The there are many ways that are productive and motivational in the life of a Christian. 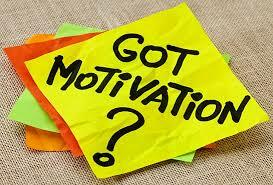 Motivation is key tool in our effectiveness in walk. Besides my family, Inward transformation, higher call, being light to the world, and assisting believers, help me to persevere in my daily commitment to Christ. Inward transformation is a critical tool for my personal motivation. The Lord saved my soul and gave me eternal life, for that I am forever grateful. Subsequently, He blessed me with the indwelling power of the Holy Spirit; I can now recognize that this walk does not require me solely to act on my strength, but to trust and rely on an entity greater than me. His grace is sufficient, the Lord created me, in His likeness, to represent him and to do His will. The reality is that Christ works thru me, to motivate, as well as an encouragement sufficient in my daily requirements. Looking at ‘higher prize’ that clearly surpasses my understanding, yet it is an attainable and reachable goal worth diligently pursuing. Paul encourages, “Brothers, I do not consider that I have made it my own. But one thing I do: forgetting what lies behind and straining forward to what lies ahead, I press on toward the goal for the prize of the upward call of God in Christ Jesus. (Phil 3:13, 14) This upward reward (call) is not based on physical or tangible substance; it is not comforts that life in the world offers. This prize embraces eternal values, which are immeasurable by the scales of natural comprehension. This call bonds the believer with the most glorious risen Savior Jesus Christ. The advantage: It helps to fix our eyes on things that are not visible, which are impossible to attain without faith. Will I Really Trust You, Lord?